They are Americans, and they are mujahideen. Hundreds of men from every imaginable background have walked away from the traditional American dream to volunteer for battle in the name of Islam. Some have taken part in foreign wars that aligned with U.S. 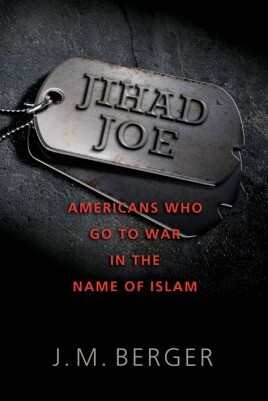 Unfortunately, due to sales rights restrictions, we cannot offer Jihad Joe for sale in your country. They are Americans, and they are mujahideen. Hundreds of men from every imaginable background have walked away from the traditional American dream to volunteer for battle in the name of Islam. Some have taken part in foreign wars that aligned with U.S. interests, while others have carried out violence against Westerners abroad, fought against the U.S. military, and even plotted terrorist attacks on American soil. This story plays out over decades and continents: from the Americans who took part in the siege of Mecca in 1979 through conflicts in Lebanon, Afghanistan, and Bosnia, and continuing today in Afghanistan and Somalia. Investigative journalist J. M. Berger profiles numerous fighters, including some who joined al Qaeda and others who chose a different path. In these pages he portrays, among others, Abdullah Rashid, who fought the Soviets in Afghanistan; Mohammed Loay Bayazid, who was present at the founding of al Qaeda; Ismail Royer, who fought in Bosnia and Kashmir, then returned to run training camps in the United States; Adam Gadahn, a Jewish Californian who is now al Qaeda's chief spokesman; and Anwar Awlaki, the Yemeni-American imam with links to 9/11 who is now considered one of the biggest threats to America's security.